يوفر فندق Essence Serviced Apartments ظروف إقامة راقية وهو خيار رائج للسياح ولرجال الأعمال أيضاً. يقع في منطقة تسوق من بريسبان. يقع مركز المدينة على بعد 7.0 Km فقط. ويمكن الوصول إلى المطار خلال 10 دقيقة. إن سهولة الوصول من الفندق إلى المعالم السياحية الشهيرة الكثيرة في المدينة كمثل مستشفى الروح المقدس نورث سايد الخاص, The Prince Charles Hospital, Westfield Chermside Shopping Center هو استثنائي بحد ذاته. يعمل Essence Serviced Apartments على ضمان إقامة مريحة لضيوفه من خلال خدماته الممتازة وحسن ضيافته. يقدم الفندق واي فاي مجاني في جميع الغرف, خدمة غسيل ذاتية, خدمة سيارات الأجرة, مجهز لذوي الإحتياجات الخاصة, مطبخ لضمان الراحة القصوى لضيوفه. بالإضافة لهذا,تتضمن كل غرف الضيوف مجموعة واسعة من وسائل الراحة . بعض الغرف توفر حتى تلفزيون بشاشة مسطحة, حمام إضافي, مرحاض إضافي, رف للملابس, قهوة فورية مجانية لإرضاء أكثر الضيوف تطلباً. إن مركز للياقة البدنية, تدليك, بلياردو, حديقة, غرفة ألعاب هو المكان الأمثل في الفندق للاسترخاء وتفريغ طاقتك بعد نهار طويل. إن Essence Serviced Apartments هو خيارك لخدمة الفنادق الراقية في بريسبان. مكتب الإستقبال مفتوح من 07:00 AM إلى 08:00 PM خلال أيام الأسبوع و من 09:00 AM إلى 05:00 PM خلال عطلة نهاية الأسبوع. على الضيوف الذين سيصلون خارج هذا التوقيت أن يتواصلوا مباشرة مع العقار قبل وصولهم ليت ترتيب هذا الامر. If you need to stay close to the north side of Brisbane, then consider using this establishment. Light breakfast was included with the room. I would go there again. 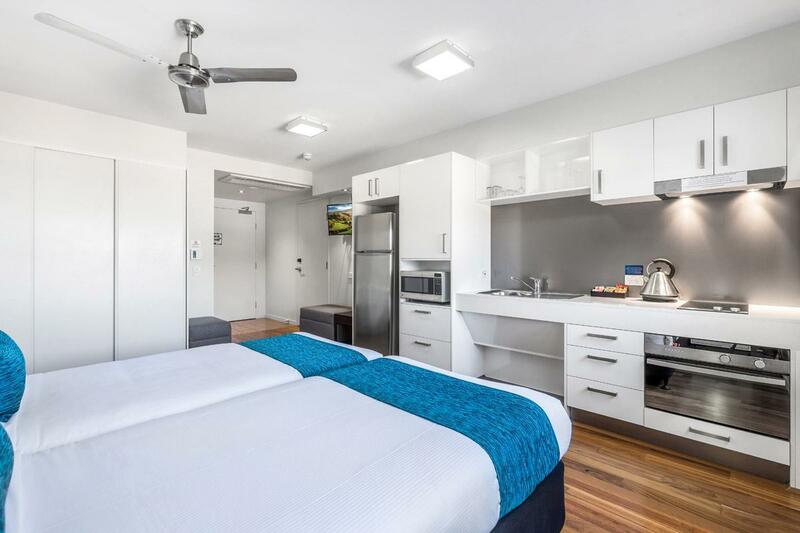 My only caution would be that, should you use the cooking facilities in your room, you don't activate the smoke detector/fire alarm because there is a AUD $1,200 charge for doing so. It did not happen to me though. I know the facility get charged a fee for False Alarm response by the fire service but this is the first time I have ever been advised of such a potential fee and was quite surprised at the amount. Otherwise a very reasonable establishment. Quiet and clean room. Hotel standard, no complaints. 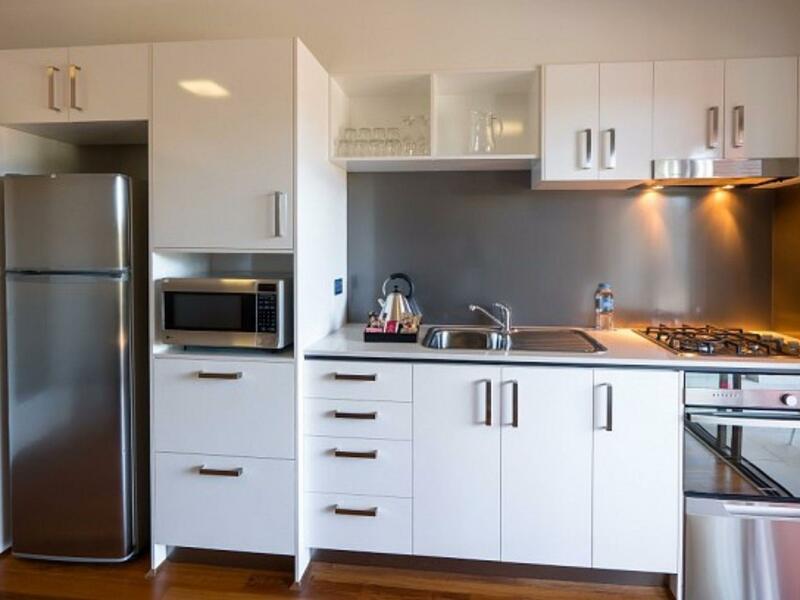 Great location close to Westfield Chermside & fully air conditioned. Simple breakfast option available. Comfortable beds & easy parking. I can't think of a single negative thing to say. The bed was really comfy, the aircon was great, breakfast yumny, shower excellent. Would definitely stay there again. OUR SECOND TIME STAYING HERE AND AGAIN WE WERENT DISSAPOINTED.. My 2yo got sick during our stay and the staff were so helpful and kind enough to give us fresh linen and towels as soon as we needed.. Will defiantly be staying her again! Only therre for 1 night but very comfortable apartment with breakfast included. This accommodation so handy to Holy Spirit where a good friend was a patient. Would stay here again if visiting the hospital. Excellent location if at the hospital next door. Rooms a lot smaller than they appear online but functional. We stayed 302, would recommend one on 100 level, much bigger. Sofa beds due to be replaced as well. Great coffee across the road & basic breakfast was a plus. 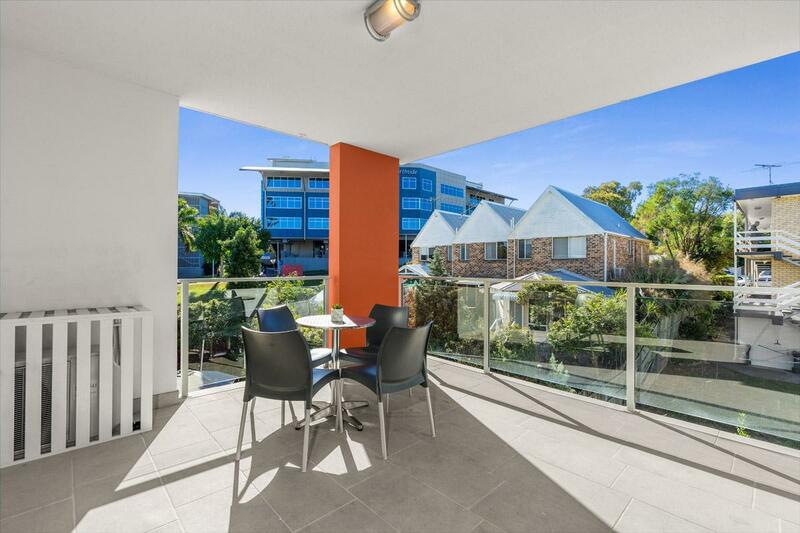 Location is excellent for the hospital & close to Chermside shopping centre for everything else you need. If you have a car, the smaller shopping complex further along Rode road is a lot easier that the shopping centre though. We stayed in a one bedroom apartment. It was great - good size, good floor plan and great amenities. We did stay with a baby so not having a bath was a bit miserable and it was a tight fit to put the portacot in the bedroom. The kitchen was great, we could bake/boil/cook our own food rather than eat out or order take away. The room was quiet, we had Rode Road street view but didn't hear the traffic. We would definitely stay again! After a long day at the Prince Charles Hospital it was good to walk down the hill and be back in our room with the kettle on for a cuppa. No worries about parking as the Essence Apartments have secure garages for your car. Cleanliness of the room, and of the whole complex. Staff & housekeeping always had a smile on their faces & always ready to help if needed. Close to all amenities that I needed. Room was super clean and well laid out. For the price it is one of the better places I've stayed in. The ladies in reception are utterly professional and a credit to the place. 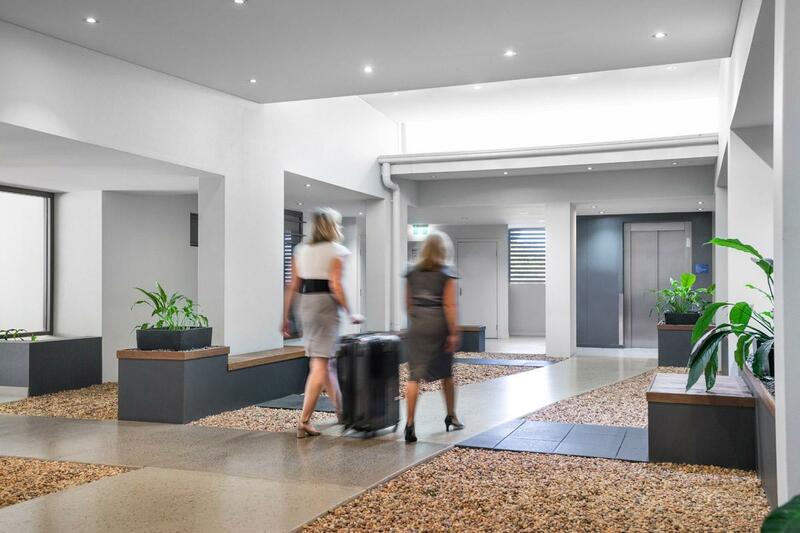 I will definitely book Essence Service Apartments when I need to stay in Brisbane next time. We had an enjoyable, comfortable stay at Essence. We are from western Qld and found its location easy to get to even though we are not seasoned city drivers. 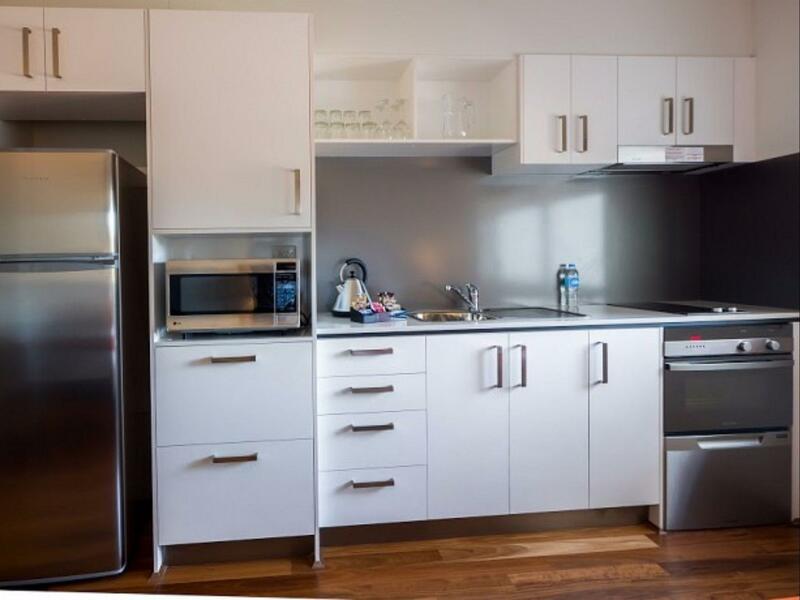 The room was very well appointed with kitchen/cooking facilities and was lovely and clean. It was amazing this has become our place to stay when in Brisbane. Close to shopping and central to most places we need to go. Close to public transport and nothing is too much trouble for the staff. Good accom. Great location for me this stay. Very clean. Very helpful staff. We stayed at this apartment block as it was very close to the hospital. It was only for one night! The breakfast the next day was a lovely bonus. The only thing missing was a face washer.